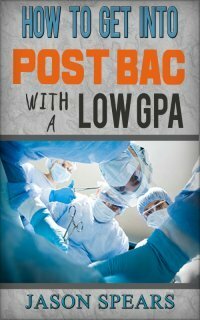 Discover the best letter of recommendation advice from an organic chemistry professor at Northwestern University who has written thousands of letters to help premeds get into medical school. One of the first things you must consider is how you communicate with the individual who you want to write a letter of recommendation on your behalf. Most likely it will be through email but remember what I have to say about this. You want to ask you recommender in person because you need to gauge if they are able to write a STRONG letter in support of you applying to medical school. But email is a good way to go about setting up your in person meeting. Use your educational email address, the one that contains edu otherwise your email will be filtered out as spam and never reach your intended addressee. Faculty may assume that your official University e-mail is a valid means of communicating with you, so you must be responsible to check your school email accounts and using it for all official communications with faculty and staff. It is highly advisable, that you avoid using gmail, hotmail, yahoo mail, aol mail or any other commercial account when sending official emails such as letter of recommendation request, job/internship applications, or school applications. Composing your email. Write clear, short, meaningful paragraphs where you are direct and to the point; professionals and academics see their email accounts as business. Do not write unnecessarily long emails or ask vague questions that require many back and forth responses because this wastes the recipient's time. For example do not write questions like, "Can we meet in the next few days?" or "I was hoping to meet with you to discuss my petition to graduate form. Please let me know what days and times you are free this week or next?" The first question is naive and only deserves a one word response of the Yes/No type. The second does not show respect for the addressee who is your professor or advisor and is most likely to be busier than you are. Why do you think he/she would send you his/her whole two week schedule and wait for you to pick a time? Emails sent from non-university accounts or without a subject heading may be ignored. Your letter of recommendation plays a significant role in a medical school admission decision and it is in your best interest to only ask individuals who know you well and can write an outstanding letter on your behalf. I am always amazed that students do not consider the fact that a professor who taught them one quarter of chem or bio three years ago in a big class is likely to not remember who they are, what they did, and has nothing to say about them beyond a letter grade in an Excel spreadsheet. Most students do not know that they should build good relationships with faculty over many years before they will cultivate good letter writers. Here is a list of questions which you may encounter from the professor whom you have asked to write a letter of recommendation. These questions are not to say that the individual does not want to write a letter for you, more that they want to ensure you have the best people supporting you as you are preparing for medical school. 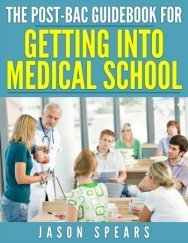 What characteristics do you have within yourself that make you think that you are going to be a good doctor? Why do you want to ask me to support your application? Don't you have other people who know you better than me that would represent you better? Why do you think that I will be able to write a good letter for you considering that I only knew you for 9 weeks in one class and haven't been in contact with you until you need the letter? What do you think I will be able to say about you that will make you stand out among all the other candidates, most of them probably got A in their orgo classes? Again, I only know you for 9 weeks and at this point can't really say much beyond what you have received in my class. I also don't know what you have been doing for the last 2.5 yrs. Who else are you going to ask to write for you? How long do you know each of them? Why do you think that they will write you a letter beyond: "He/she was in my class for 9 weeks, got an A, seems to be a good kid." Why are you applying as a senior? Do you know what the success statistic is for people who apply as senior? Do you know what the nation-wide average entrance age to medical school is? Why do you think you have a good chance now instead of waiting for a year or two and get some experience in the medical field first? I assume that since you are a senior now and you asked me in mid July, you are deferring medical school for one year after graduation? If yes, what are you going to do during that break? In a few sentences, describe to me what you consider success in your chosen career.